My last post about the brick floor only had a small portion of the garden shed covered with bricks. I've made a little progress since then and have complete exhausted my supply of free bricks. I've been looking for more but so far I've come up empty handed. I'm pleased with how it's turning out at this point but really would love for another 150 bricks to fall in my lap - OK, not really, that would hurt but you know what I mean. This picture of the floor was taken from the front door of the garden shed. The bricks are in what is called a basket weave pattern where they form even squares that match up with each other in rows and columns. 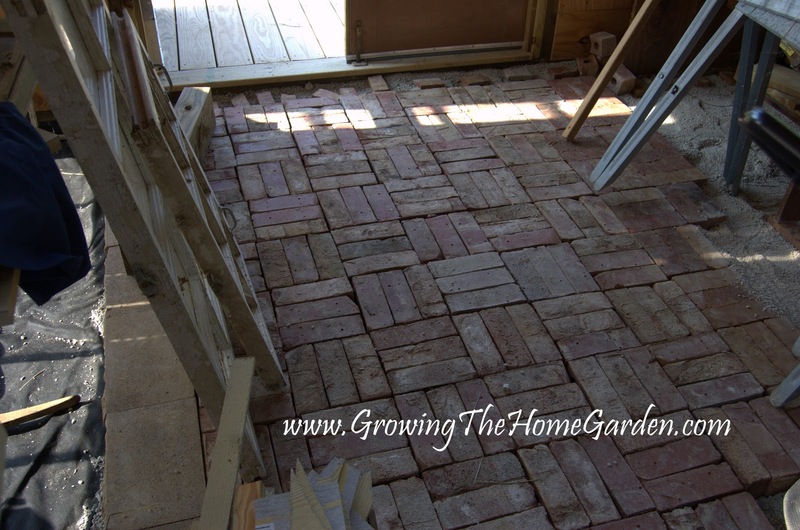 I toyed with the herringbone pattern idea but found that it would have left me with too many bricks to cut to make even edges and I really didn't want to go through the trouble! Here's a longer shot from the same point. You can see all the building junk still crammed into the shed. I'm a pack rat by nature and I just can't stand throwing away building materials I could use later. I know I can find a use for the two windows on the right eventually. A coldframe would be a nice addition somewhere! 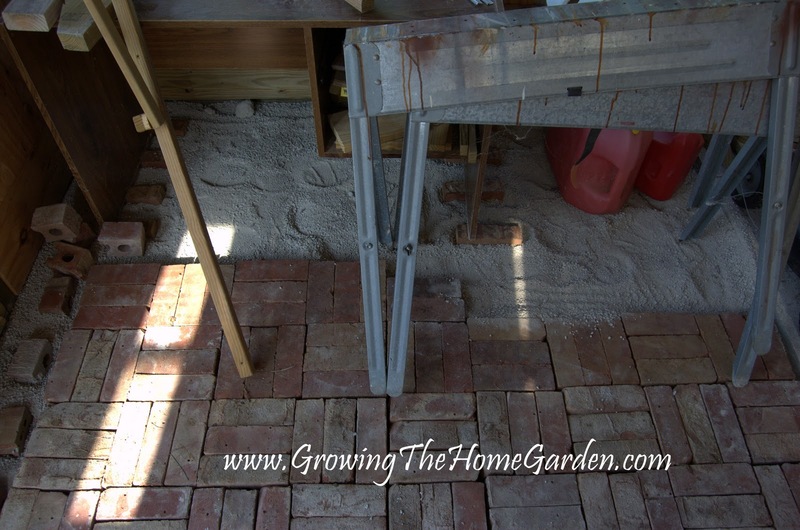 Here is the unfinished edge of the brick floor. I decided to make sure the main floor area was covered so that walking through would be easy. 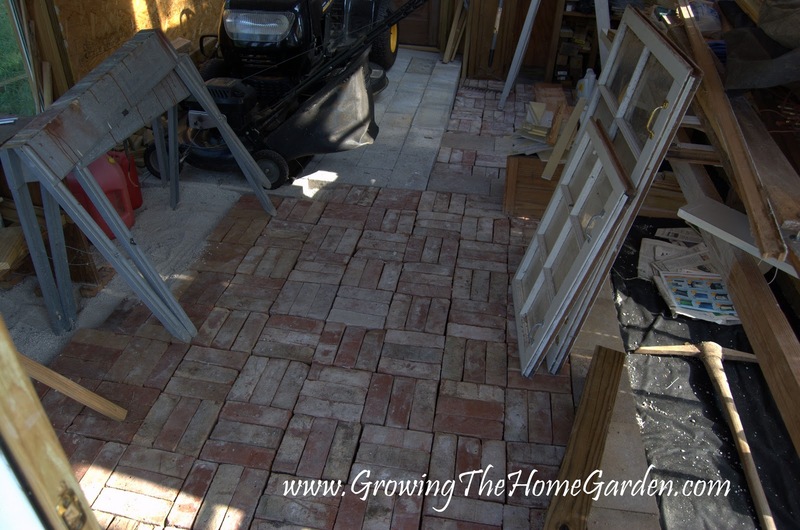 If I need to I could temporarily cover the gravel with landscape fabric for a cleaner look but hopefully I can come up with some bricks to finish out the floor. Here is a shot looking toward the front door. The biggest challenge to working with reclaimed brick was the uneven nature of the bricks themselves. Some bricks had warped over the years and others were still partially covered with mortar. It is nearly impossible to have the brick perfectly level. 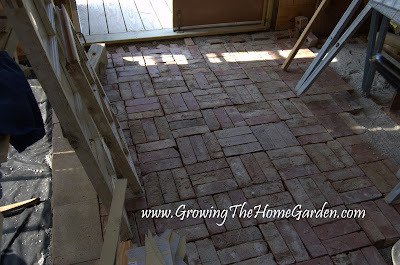 To me the uneven nature of the brick floor gives it a rustic look that I like. I have some more projects planned for around the shed but they may have to wait until cooler weather comes through! I can't wait to start propagating plants in the garden shed this coming spring but for this winter it may just serve to overwinter a few plants. Awesome! I have enjoyed following the progress of this masterpiece of a shed. It really is a cool little structure, and I'm impressed with your work. I like the rustic, uneven look of the floor. 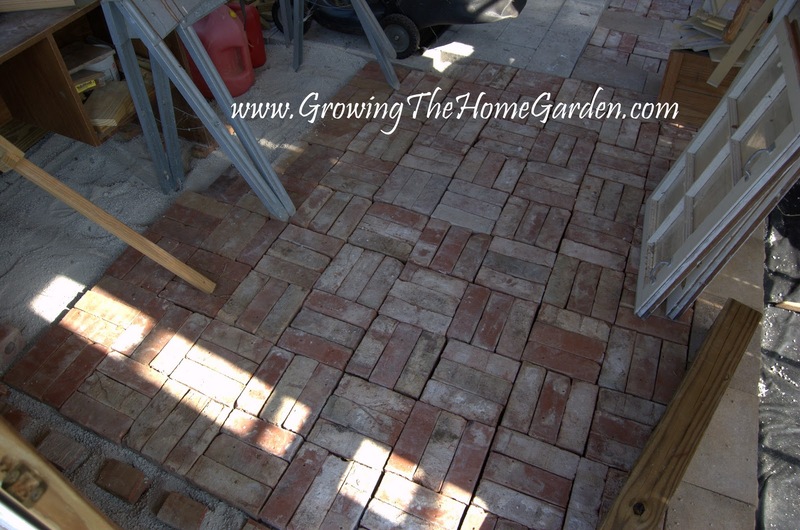 Brick flooring will be perfect for outdoors like your garden. It is simply because it is a low maintenance material. Years doesn't make it look old, just rustic.